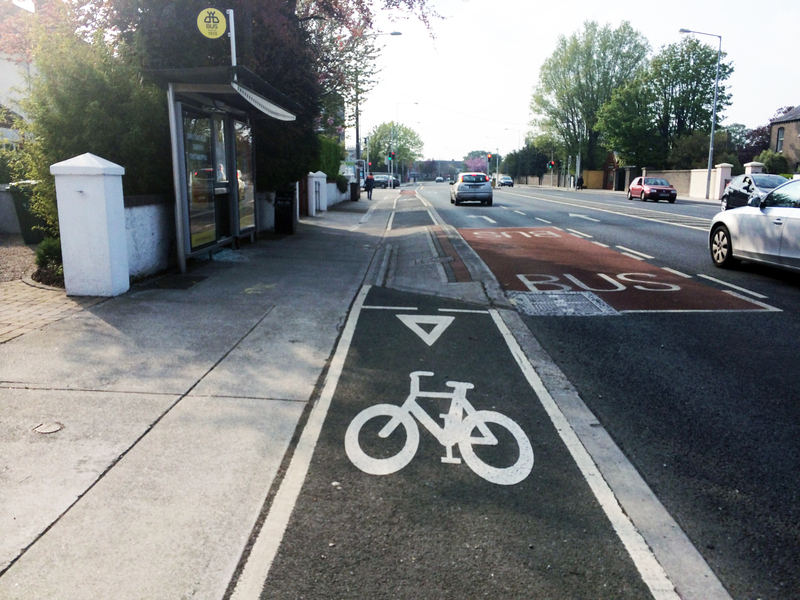 Dutch and Danish cycle path designers need to visit Ireland to take in the artworks that are Irish cycle paths. 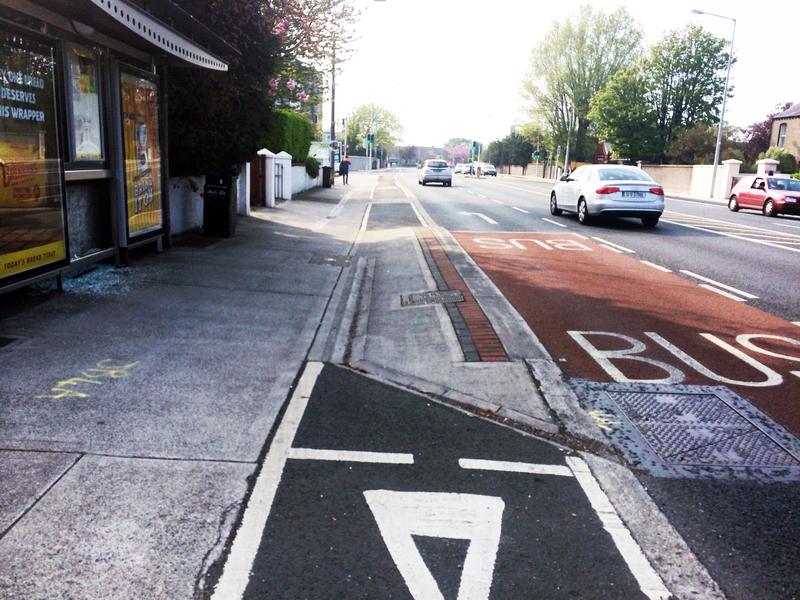 This is stunning work: A cycle path interrupted by a bus stop as is all too common in the Dun Laoghaire–Rathdown County Council area. But here you don’t need the usual rumble strip. No, here, cyclists who stick to the path contend with a drain and a slop between the footpath and the bus stop edge. Yeah, that looks like the work of DLRDCoCo alright, they have a fantastic record of ultra low performance. It means their standards can’t drop too much lower. You just have to start at very low level of performance and maintain it. After spending 475,000 + Euros on a roundabout in Killiney and 37 Million Euros of Taxpayers money on a library we are lucky to have anything left for facilities at all. It is only a matter of time before cycle paths are happening in the county with the help of Private/Public Partnerships. Of course they’ll probably have to be tolled!!! !